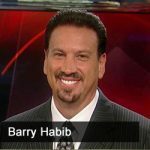 Jason Hartman talks with Barry Habib, renowned mortgage industry executive and founder of MBS Highway, about what to expect in the mortgage world in 2018. The two discuss why the media doesn’t seem to get real estate, why real estate appreciation doesn’t have to match stock market appreciation, mortgage tax deductions, and how the Roe v Wade decision actually impacted a housing bubble. [12:42] Why aren’t people taking the mortgage tax deduction?